Northern Arizona witnessed overnight snow storm which resulted over a foot of snow on many roads and highways in the city. 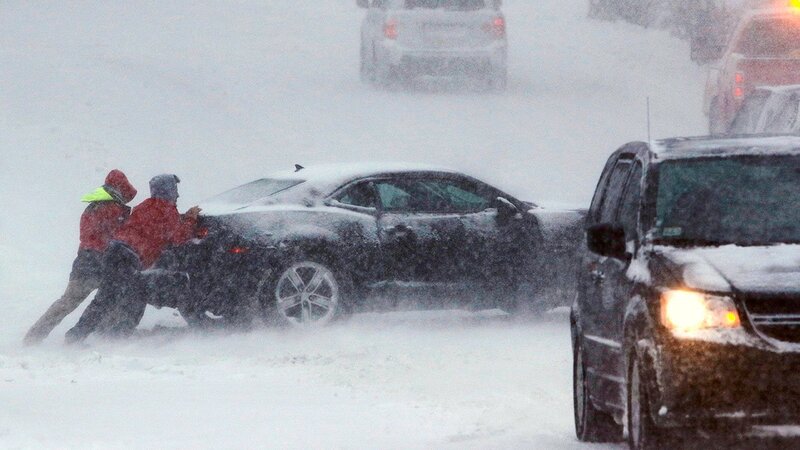 Owing to accumulated snow, the traffic got snarled on the majority of such roads on early Friday. According to the National Weather Service, the snow showers are being caused by a cold front, and the snow levels are expected to reach along the valley floors. The Arizona Department of Transportation cameras highlighted thick snow cover surrounding a number of highways along the northern regions of the state. The areas mainly include Interstate 40 near Williams, State Route 260 at Show Low and Interstate 17 outside of Flagstaff. Owing to the blanketing of snow on highways, ADOT officials advised people to be prepared for slick roads and slow moving traffic. Due to the icy roads, the State Route 8 and State Route 90 have been forced to close. So, travelers who are expected to travel on these routes are advised to take state route 92 between Sierra Vista and the Bisbee. Multiple crashed were reported on eastbound lanes of the I-40 near Williams and I-17 at just the north of the Rimrock. Owing to the crashes, both these routes were closed for a temporary period. However, both the stretches were made functional after few hours. Taking stock of the condition, the National Weather Service in Flagstaff has said that the winter weather is just not over yet. Alongside, an advisory on winter weather was also issued for areas of Coconino, Navajo, Apache, and Gila counties. It is expected that the Flagstaff along with the parts of north-eastern Arizona could witness more snow as the day progresses. However, the snow will diminish, and the weather would return to normal from late Saturday or early Sunday. The Weather Service announced that another storm might return on the day of new year and North Arizona may witness more snowfall.